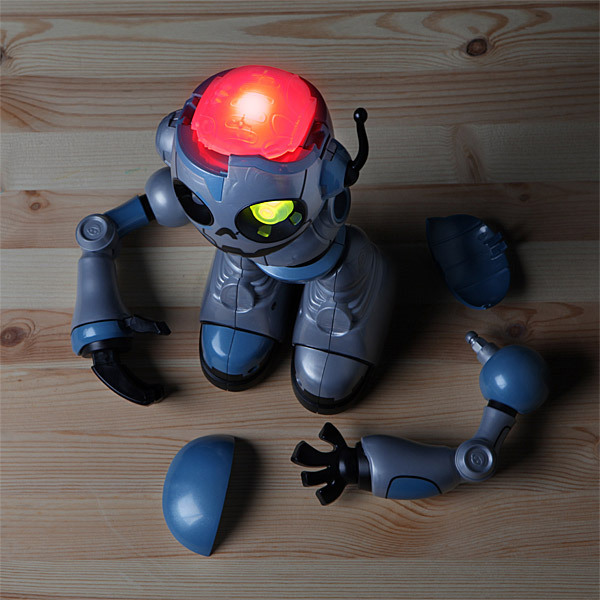 ThinkGeek is offering this crazy looking robot zombie remote controlled figure. It’s even got a zombie blaster that launches robot-zombie-stopping darts. 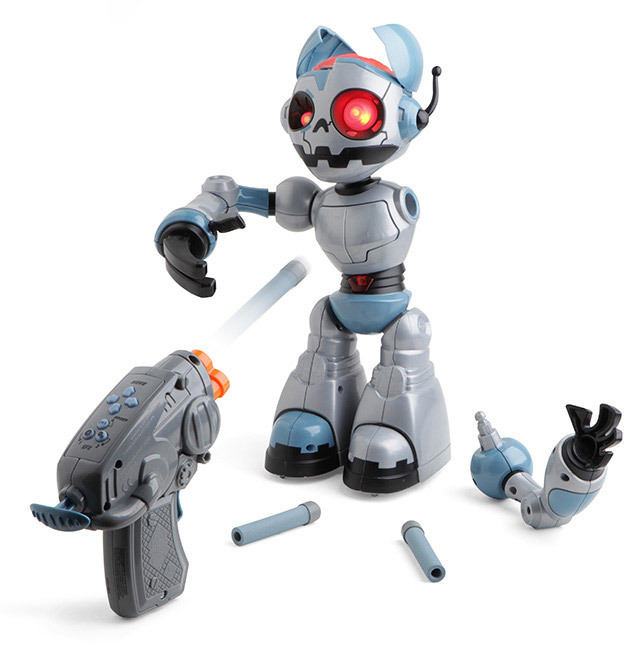 Take aim at this zombie robot and blast off his arms. His health is indicated by his eyes and light-up health indicator. Blast him enough and his cranium pops open to expose his illuminated brain!